So the time finally came where my '06 F250 farm truck let me down for the last time during soybean planting this year. That truck sat in our machine shed for 11 or so months of the year, then it seemed like every time we wanted to use it, something broke. This spring it was a loud bang and it wouldn't fire after that. Got it towed to the Ford dealer and there was a fuse that kept blowing on the main harness that fires the injectors and whatnot. The dealer spent over 12 hours trying to get that thing to run. Eventually they got it fixed, it was an O2 sensor that was shorting out. That, combined with a series of other annoying, minor, expensive to fix breakdowns over the 4 years of owning the truck got me good and fed up. I figured if I was doing all this work with my '13 F150 that I was supposed to be doing with the "farm truck" anyway, might as well get something that will be used, and hopefully not break down all the time. 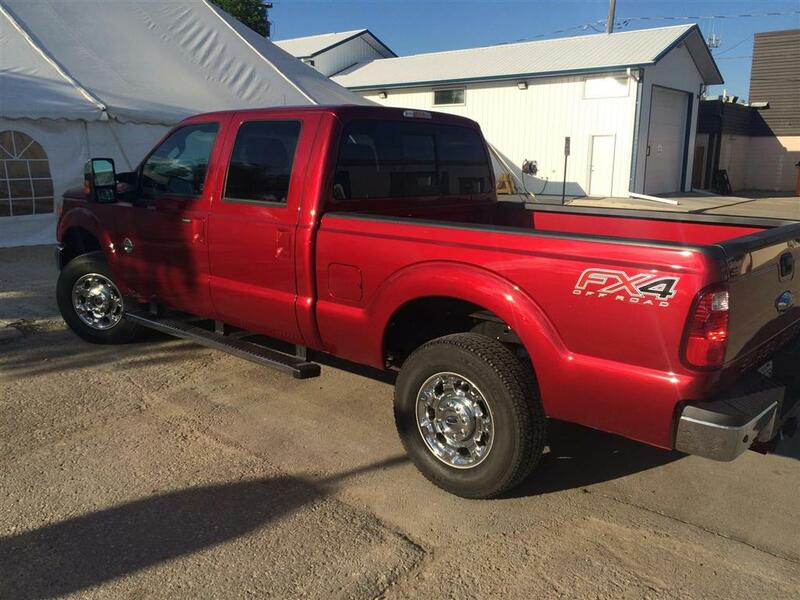 So I traded the '06 F250 and my '13 F150 off on a '14 F250 with a 6.7L diesel. Went to Saskatchewan to pick it up last weekend so I got a nice 550 or so km test drive. Seemed like a lot of people were saying 3/4 ton trucks ride like a brick and are too huge to actually take to a city, I don't understand that. That thing got better fuel mileage than my EcoBoost and the ride was fine, it was a bit rougher but nothing jaw-dropping. In the few stops I made I had no issues parking or making corners and stuff, so I don't get what all the fuss is about. Now when I'm dragging 13 or 14 thousand pounds of trailers around, at least I have a proper truck to do it. My F150 worked, but I suppose it wasn't exactly legal for weight and when towing that kind of weight it always felt like I was in a boat, kinda swimming around on the road. This should be much better. xcr440 and driftpounder like this. That should be a good truck. 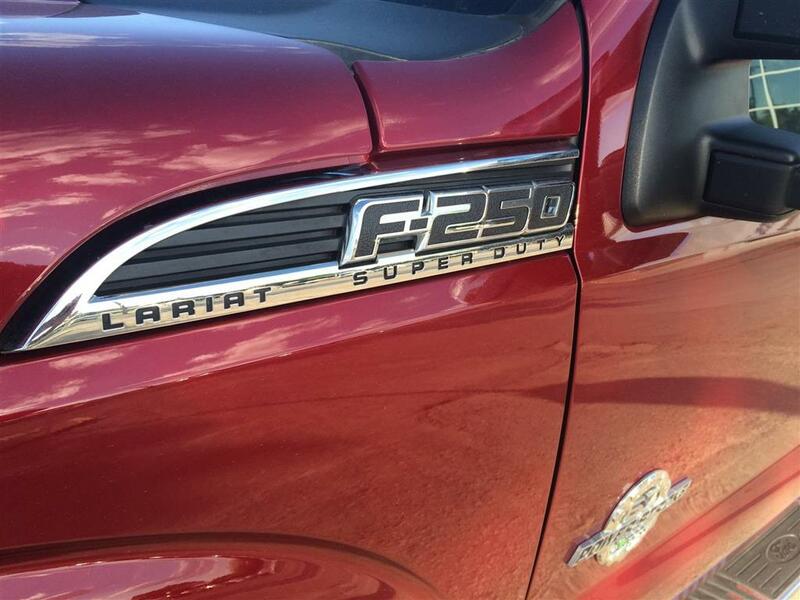 Did you get the extended cab or the crew cab? Are you gonna take a pic of the truck and show it off to us soon? I hope that diesel will work out really well for you. 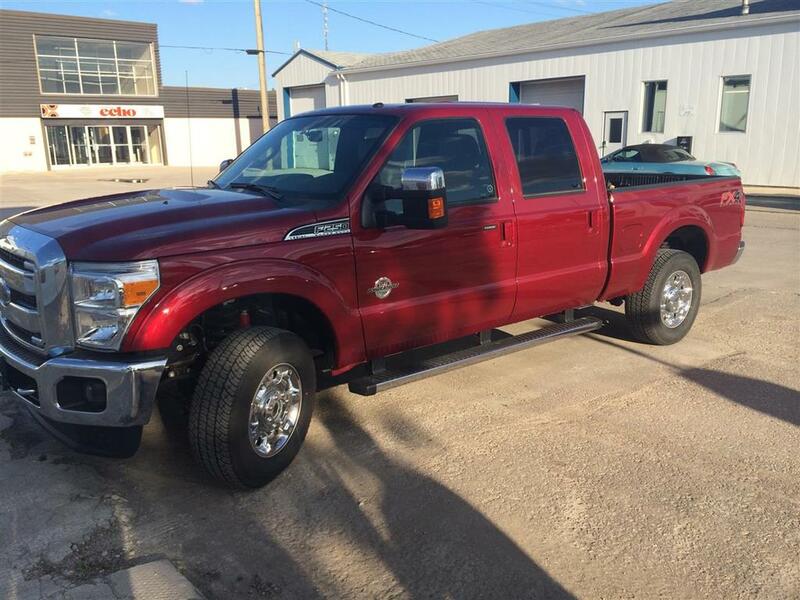 It's a 2014 F-250 Lariat, crew cab with 6.75' box, 6.7L Powerstroke diesel, 3.55 electronic locking rear axle, lariat ultimate package, camper package and some other stuff I'm probably forgetting. Nice! You will like it. I don't even want to know what those things cost. My dad would roll over in his grave. Only thing is those tires don't look very good for getting through snow with. Nice. I've never owned a diesel pickup. I have thought that when I upgrade my current 3/4-ton pickup, it will be to a diesel. I've never found mathematics to justify the extra cost of the diesel, so it has to be justified by power, towing, usability, or some other metric. Longevity, my duramax has 215k miles on it doesnt skip a beat. I can justify the 3/4 ton truck. I can't justify the diesel other than it's what I want therefore it's what I bought. The power and torque will be nice, however not really necessary. But we are all snowmobilers, do we really have to justify spending large sums of money on something useless other than it's "what we want"? ski-dooer12, xcr440 and driftpounder like this.